Eyes Shut. Door Open. (Wax Wings Productions). Other credits include Bad Jews (SpeakEasy Stage); The Submission, Bent, The Normal Heart (Boston My Theatre Award, Best Actor; IRNE Award, Best Play), Punk Rock (Elliot Norton Award, Outstanding Production), Enron (IRNE Award, Best Actor), and Farragut North (Zeitgeist Stage Company); Death of a Salesman, 33 Variations, and The Temperamentals (Lyric Stage Company); Hideous Progeny and The Mistakes Madeline Made (Holland Productions); and The Country Club (Happy Medium Theatre). He holds degrees from Emerson College and Northeastern University. It has been a thrill to see this play grow ever since he read it's first draft almost five years ago! Michael has been proudly working on the fringe with Imaginary Beasts as an Artistic Associate since 2009. He has also served on the Artistic Board of Happy Medium Theater since 2012. Other local credits include: SpeakEasy Stage Company, Heart and Dagger, Stoneham Theatre, Commonwealth Shakespeare Company, Whistler in the Dark, Shakespeare NOW! and Theatre on Fire. In 2013 she debuted Cassie M. Seinuk's Playing Checkers, a finalist for the Kennedy Center'sNational Ten Minute Play Award, and she is so excited to return to the work of this remarkable playwright. She has been lucky enough to discover new plays by local playwrights through Fresh Ink, Interim Writers, and Boston Public Works. Other credits include New Exhibition Room's Smile!, Eurydice in Polaroid Stories, and a few cherished years managing and acting with the Independent Drama Society. Melissa just finished her Master's degree in publishing at Emerson College. recently directed the encore Off-Broadway run of The International at the Peter Jay Sharp theatre at Playwrights Horizons. He previously directed the play Off-Broadway at the cell in 2014, as well as the world premiere ‘New Voices’ workshop production for Origin Theatre Company’s 1st Irish Festival 2013, which garnered 1st Irish Awards for Tim Ruddy as best playwright and Carey Van Driest as best actress. Other directing credits include: Cassie Seinuk’s award winning Occupy Hallmark for the Samuel French Off-Off Broadway Festival; Dinner and Grave Rolling for Project Y; Sit Down, Daisy, Even as I Go, Just Like Tetraphobia, Saving Lives, and Sexual Perversity in Connecticut, all for Nylon Fusion Collective; and The Trestle At Pope Lick Creek, for the Stella Adler Conservatory. He also has a long career as an actor, his New York credits including: King Lear on Broadway at Lincoln Center Theatre (with Christopher Plummer); The Merchant Of Venice for Theatre For A New Audience (national tour; with F. Murray Abraham); Dash at MCC; Hollywood Scheherazade at Primary Stages; Clocks and Whistles for Origin; and The Survival of The Species at EST and The Beckett. 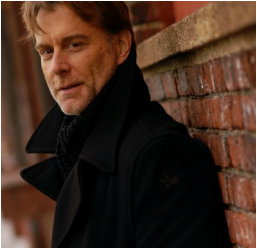 His regional theatre appearances include productions at The Hartford Stage, The Old Globe, La Jolla Playhouse, Milwaukee Rep, St. Louis Rep, GeVa, LA’s Odyssey Theatre, The Hudson; Chautauqua; and many others. Film: The Shells; Convention; Pumpkin Hell; In Your Eyes; The Sonnet Project. TV: roles on Will & Grace, Mad About You, Newsradio, and in various soaps. He also voices the characters Otacon and Huey in the best selling Metal Gear Solid series of games for Playstation, Xbox, and other platforms. He holds an MFA in acting from UCSD. is a Jewish Cuban playwright and AEA stage manager with an MFA in Writing for Stage and Screen from Lesley University, and her BA at Brandeis University with High Honors in Theatre Arts and Creative Writing. Her play OCCUPY HALLMARK is the 2015 Winner of the Gary Garrison National Ten Minute Play Award at The Kennedy Center. Seinuk's full-length play FROM THE DEEP is the second place recipient of the 2014 Latinidad Playwrights Award at The Kennedy Center American College Theatre Festival, the 2014 winner of the Pestalozzi Prize for best New Play at the Firehouse Center for the Arts New Work Festival, a Global Age semi-finalist at the Aurora, and a semi-finalist for the nuVoices Festival in at the Actors’ Theatre of Charlotte NC. 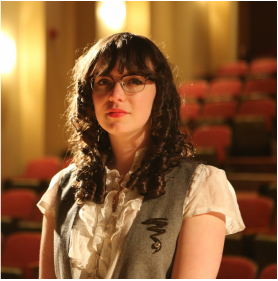 Seinuk was a 2014 Kennedy Center Fellow and Playwright Observer at The O’Neill, and is a recipient of the Boston University Jewish Cultural Endowment grant for the upcoming production of FROM THE DEEP. Seinuk’s short play Leave A Message was nominated for the Region 1 National Ten-minute Play Award at KCACTF 2014. Occupy Hallmark and Playing Checkers are finalists for Region 1 for the NPP National Ten-Minute Play Award at KCACTF 2015. Eyes Shut. Door Open is a 2014 Inkwell Finalist, and has received development with Wax Wings Theatre Company and Argos Productions in Boston. Seinuk is a member of Boston Public Works Theater Company. In addition, Seinuk is the co-founder of Interim Writers, a playwrights' collective, and is a member of their Accomplice Writers' Group. Seinuk is a Dramatist Guild member, and a member of Actors’ Equity Association.